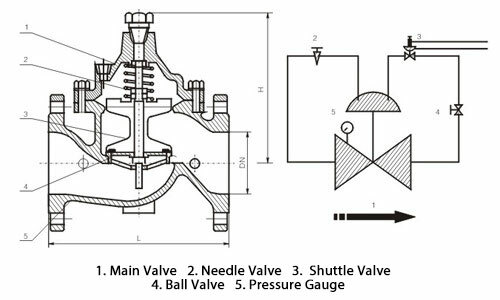 ﻿ 800X Differential Pressure Sustaining Control Valves | Remy Valve MFG. 800X Differential Pressure Bypass Balance Valve is used between water supply and water back of an air conditioning system in order to balance the pressure differential and to improve the systems utility, keep the pressure differential at an accurately constant value and to lower the systems noise and damage to the equipment due to an extra-big pressure differential to the utmost extent. 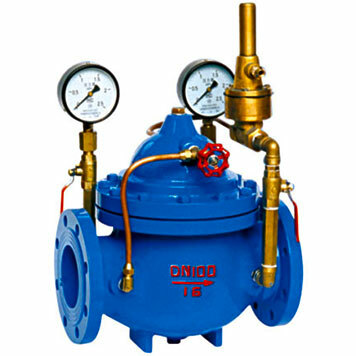 It is superior to the other balancing valves, needs no other execution machine, gets the system balanced completely depends on the pressure differential of the mediums own and saves energy and the installation space.